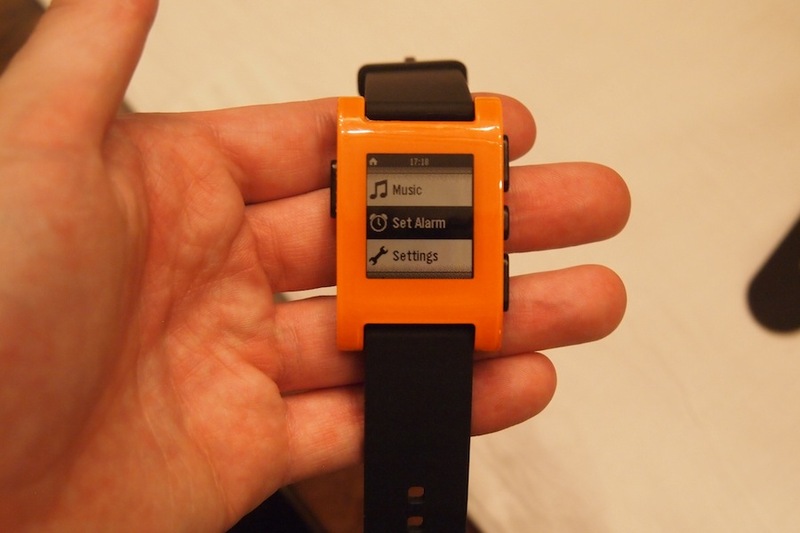 Kickstarter poster child Pebble smartwatch made its debut at CES 2013 after much hype – the project famously crowd-sourced more than $10 million – and nearly as many delays. Worry not, backers, the Pebble is officially headed your way starting January 23. We got a sneak peak at the line of smartwatches and its capabilities are as promising as the project made it sound. 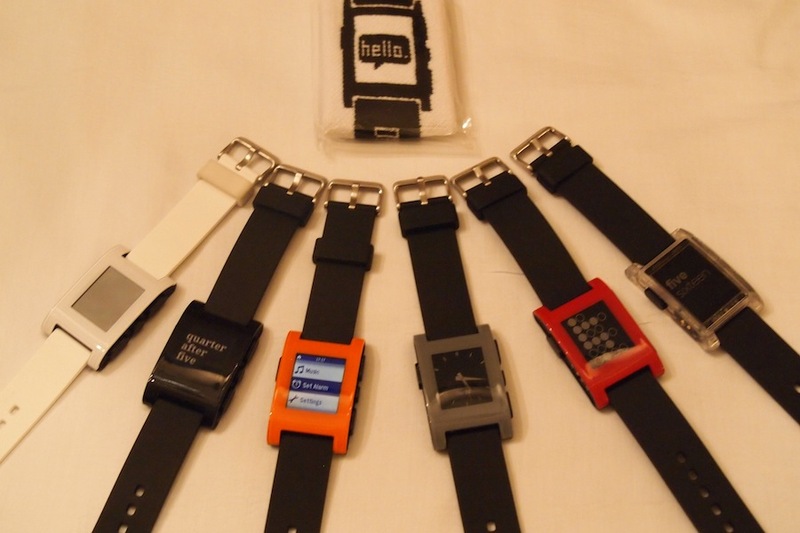 Available in five face colors (the clear one is an exclusive developer’s edition) and two strap colors, the Pebble features an e-paper LCD display with a refresh rate that makes it load faster than E Ink readers. It charges with a custom magnetic conductor which keeps the product completely waterproof. In a single, two-hour charge, the watch is estimated to last up to seven days on average use. At demo, we noticed the room was blasting Red Hot Chili Peppers, and you can control the music straight from the Pebble. “We imagine the Pebble as your smartphone’s companion,” Pebble Head of Operations Rahul Bhagat says. You can’t store music in the Pebble, but you can use it to play, pause, skip and restart songs. Whenever you receive text messages, Twitter mentions, pings, pretty much any notification you’d ordinarily get on your phone, you’ll receive a slight buzz from the clock face. The Pebble’s 144 by 168 pixels screen can read up to 160 characters of a message, and you can use the right hand side buttons to navigate up and down, and tap the accelerometer-infused screen for temporary backlight. Another cool feature is, of course, the actual time-telling part of the clock itself. 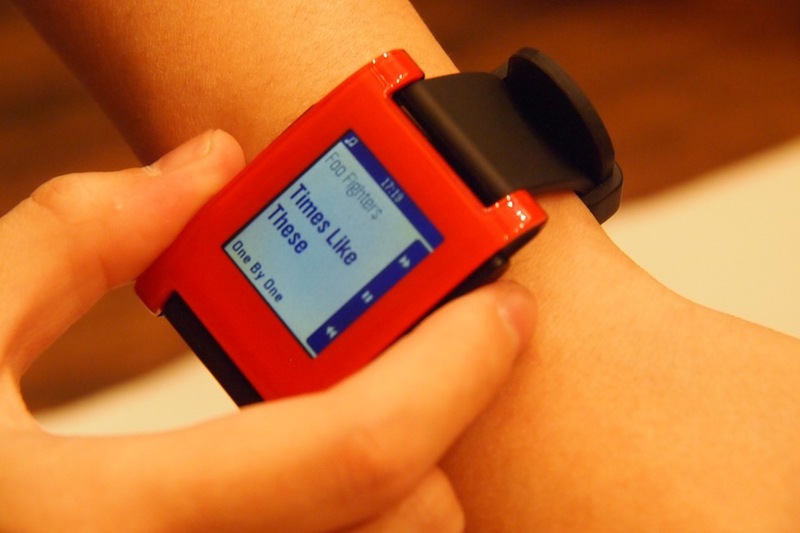 The Pebble comes preloaded with three clock interfaces, and the developer community can share their custom-designed editions. The Big Time interface is our personal favorite since it does a good job showcasing the e-paper screen’s smooth refresh rate. At the moment, the Pebble is compatible with devices running iOS and Android. While there are no indicated plans to develop for Windows Phone or Blackberry, Pebble is interested in working with other technology such as IFTTT to daisy chain commands – such as sending notifications to your smartphone and Pebble when the weather forecasts snow. For a gadget that’s jam packed with features, the watch is surprisingly light. I’d imagine that the silicone strap could get annoying if you get sweaty, but that’s what you have to endure for waterproof accessories. Alternatively, if this bothers you, you could switch out the strap for any ol’ band as long as it measures 22mm. In our quick hands-on with the Pebble, we found the watch to be extremely responsive. It boasts a speedy load time, fun app development possibilities, and just as Bhagat suggests, a neat companion to your smartphone for those who can’t be bothered to reach inside their pockets and constantly check for updates. If you didn’t pre-order during the product’s Kickstarter session, you still have time before the next few weeks’ shipment date at $150 apiece.